Fallen Angels by Walter Dean Myers is a young adult novel for ages 9-12 or ages 12 and older depending upon maturity. It touches upon the role and racism encountered by young African-American draftees and volunteers in the Vietnam War. The coming-of-age novel was banned by certain school districts for its use of profanity, violence, sexual language, and vulgarity, and continually challenged by parents and teachers for the last decade. Myers pulls no punches in this young adult novel, painting a picture of war as teens drafted in the 1960s would have experienced it and been impacted by it. Harlem, New York’s Richie Perry volunteers to join the army at age 17 after he realizes its the best option to provide for his alcoholic mother and younger brother and that college is a dream that is too far out of reach since his father abandoned them. He joins Alpha Company once in Vietnam and meets a cast of characters from a soldier who preaches faith to Peewee who acts as tough as he does on the Chicago streets and sees racism in every comment. “Hot. Muggy. Bright, Muggy. That was the airport at Tan Son Nhut. We deplaned, followed Lieutenant Wilson across the field into an area in front of some Quonset huts, and started forming ranks. It took a while. The sergeant with the clipboard came along and tried to encourage us as best he could. Perry thinks a lot about what to write to his mother and his brother, Kenny, and he details every moment of his time in Vietnam as if he’s keeping a journal. His relationship with Peewee continues to grow even though their outlooks on getting back to the World differ and their reactions to tragic events are opposite. Death touches these men in many ways, but mostly they try to forget despite the visions that flit in front of their minds out in the field as they fight the Viet Cong. “‘How about people in the hamlet?’ Brew asked. ‘We got to show them that we can be peaceful if they peaceful with us, or we can mess them up,’ Sergeant Simpson said. Fallen Angels tackles very adult themes, but from the point of view of young teenagers thrown into a war they do not understand, are unable to describe to their loved ones, and have a hard time dealing with on a day-to-day basis. How do you define courage? Can killing the enemy and seeing fellow soldiers die be forgotten and should they? From the spider holes used by the Viet Cong in their guerrilla warfare against the Americans to the miscommunications and changed orders for each unit, Fallen Angels provides an inside look at this confusing war, and sheds light on how inexperienced soldiers react when facing death and superiors they do not understand. Walter Dean Myers tackles not only morality, but also racism, courage, forgiveness, and finding oneself amidst terrifying circumstances. The anniversary edition includes information about the author and some book club discussion questions with answers from the author. Walter Dean Myers is a writer of children’s and young adult literature. Walter Dean Myers was born in West Virginia in 1937 but spent most of his childhood and young adult life in Harlem. He was raised by foster parents and remembers a happy but tumultuous life while going through his own teen years. Suffering with a speech impediment, he cultivated a habit of writing poetry and short stories and acquired an early love of reading. 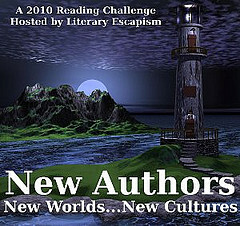 This is my 53rd book for the 2010 New Authors Reading Challenge. This is my 10th book for the 2010 Vietnam War Reading Challenge.